As I write this, we only have a small number of Cabernet Sauvignon and Carmenere blocks left to harvest. That means the finish line for the 2017 vintage is in sight. This year’s growing season got off to a slow start with bud break occurring nearly two weeks later than average. 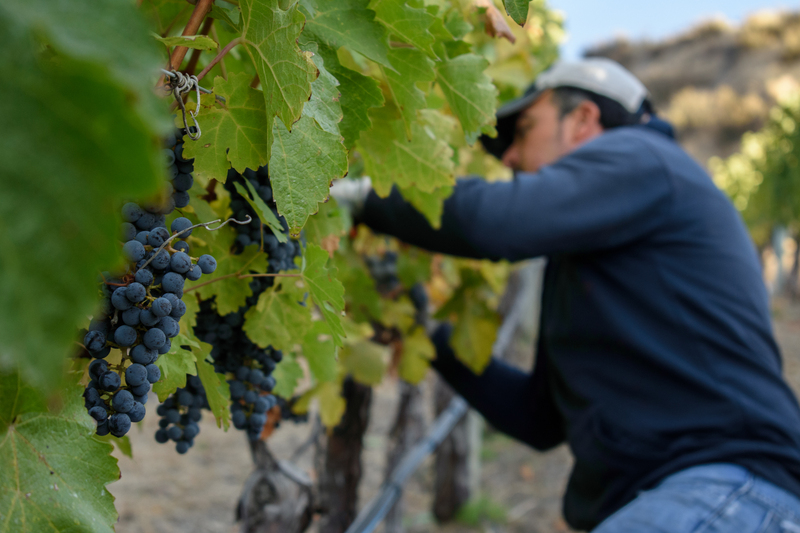 The cool, wet spring meant challenging conditions during flowering, resulting in poor fruit set and relatively low yields throughout the valley. Although producers may curse the reduced volumes, the good news is the quality appears to be quite high. The summer was warm, but not excessively hot. Nights were cool. And the South Okanagan was exceptionally dry. Growers who practiced thoughtful deficit irrigation were able to harvest well-balanced fruit that combined ripeness with purity of fruit and freshness. 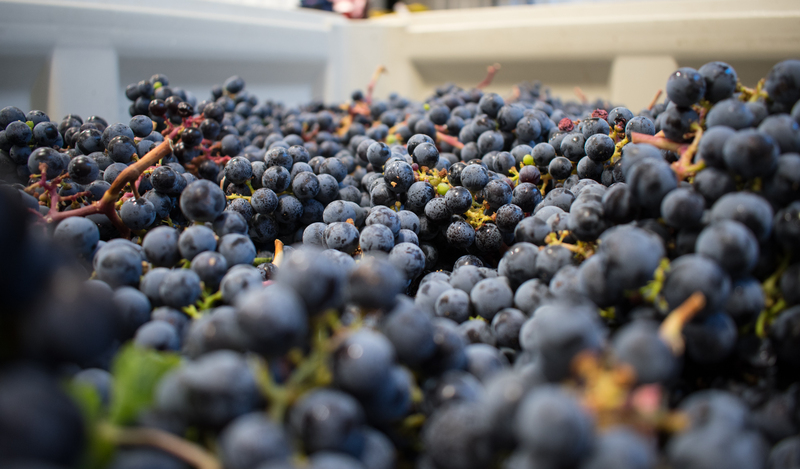 The reduced yields and low precipitation resulted in small, concentrated berries that should produce wines of depth and intensity. 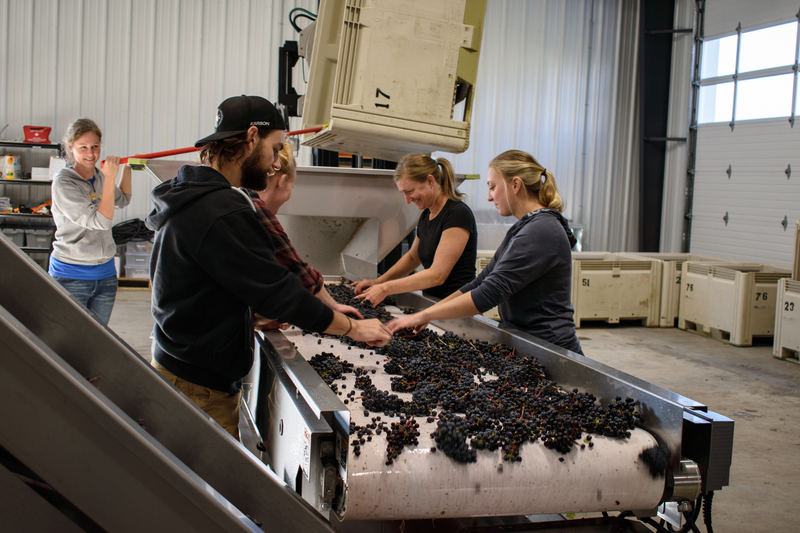 The 2017 vintage has been well-paced and organized. To date, pristine harvest conditions have meant that fruit could be picked as it was ready. There were no heavy rains or snap frosts to force our hand. Our picking decisions have emphasized balance first and foremost; flavour development is important, but so is freshness. 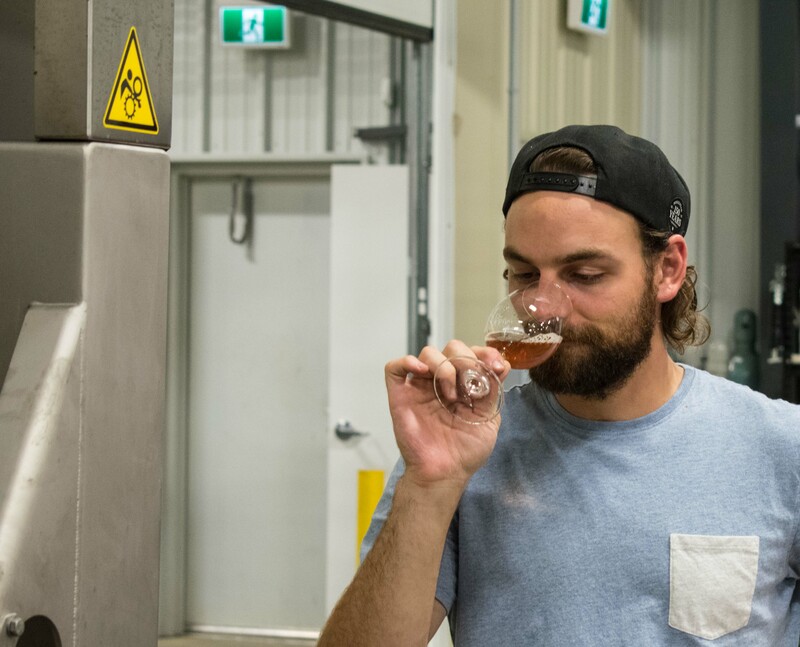 With picking spread out, there’s a calm and focus in the cellar that is rare for this time of year. It’s still early to talk about the precise character of this year’s wines. The sparkling base wines have finished fermentation and are now resting in a combination of oak casks and stainless steel. They combine lively acidity, a requisite for quality sparkling wine, with delicate, subtle citrus fruit flavours. The wines will be bottled for secondary fermentation (what’s known as tirage) in summer 2018. The white wines – Pinot Gris, Riesling, and Viognier – are slowly fermenting. We now just check on them every few days. Even at this early stage, the wines show exceptional varietal expression. If Ross did not have the winery locked and alarmed, there’s a Pinot Gris in oak cask that I’d be tempted to siphon into bottle and drink liberally. It is rich and complex – and distinctly Okanagan. We have started pressing our first red lots. Today was Syrah from Phantom Creek Vineyard. No surprise: it is dense, heady, and a true expression of this historic vineyard. Others have just started fermentation. So far, the reds have a bright fruit character, but with no shyness in ripeness. The last remaining blocks will be harvested next week. Maybe most exciting about this year for us: no commercial yeasts. Every fermentation in the winery – and we mean every – has been started and finished with naturally present yeasts. We tasted a number of 2017 lots this week. The wines have impressive complexity, but also are clean and pure. I think John Pires is right when he calls 2017 an archetypal Okanagan vintage.